The third Design Beijing Expo held from April 29 to May 2 at the National Agricultural Exhibition Center. With a brand new identity and concept, Design Beijing orchestrated several special projects, gathered a number of design institutions and design master from Hong Kong and Taiwan, Japan and other regions of Asia and Europe. 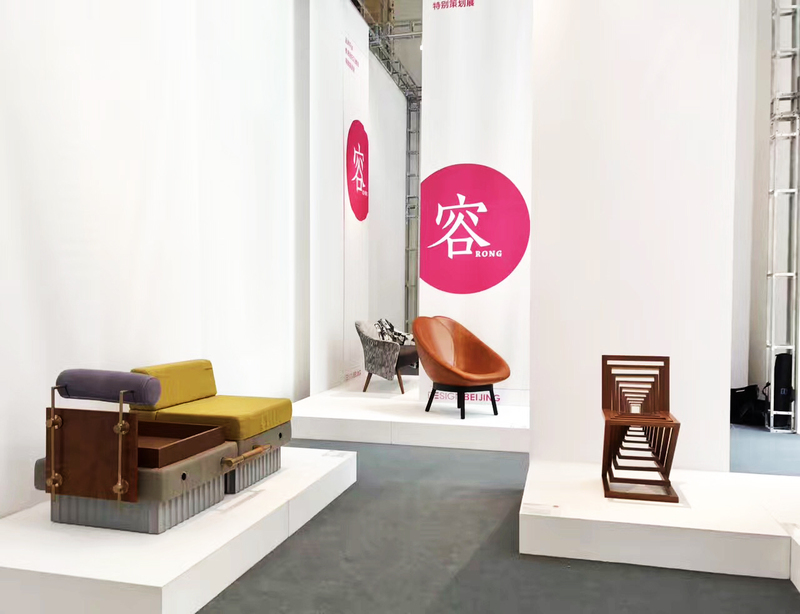 Compared to the previous Design Beijing Expo, this year Design Beijing doubled its size through releasing Hall 1 and Hall 3 in order to promote global design vision，as well as presenting an fantastic Art and design exhibition. 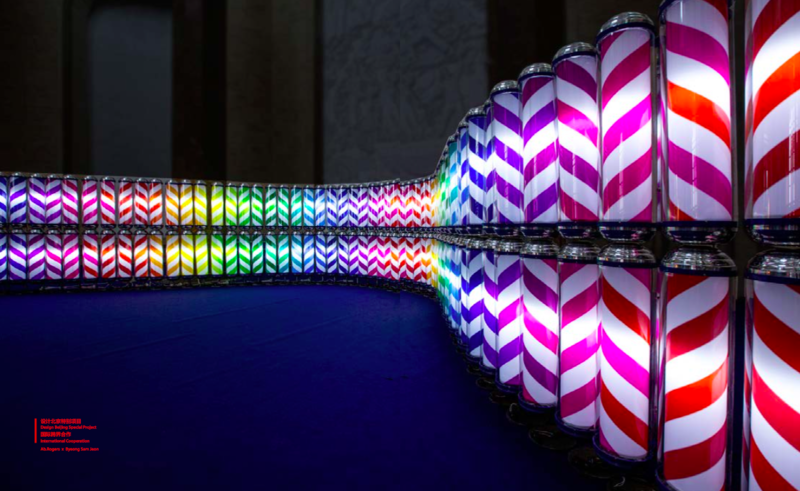 In each year, we look forward to the collaboration between the influential artists and eminent designers in every session of Design Beijing, including the collaboration of Alessandro Mendini’s Chair, decorating with Splicing elements, which was endowed with numerous meaning, in 2016.This year we invited a genius designer from UK, named Ab.Rogers and a outstanding artist from Korea, named Byeong Sam Jeon, together creating a work, Barbershop Won-derland: Revolution of the Responsive Spectrum, which can express the theme of Design Beijing 2017: ‘Breathing De-sign’. Based on both of their concept, this creative collaboration integrates Ab’s brilliant color application into the un-derstanding of Byeong’s daily life and Design Beijing is about to launch a fancy tour through this collaboration with its brand new meaning. 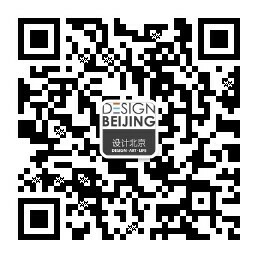 Design Beijing is obedience to the idea of making the capital of China, Beijing, as the hub in Asian design, exhibiting a new Asia annually. With <Interior China>(Chinese Version), China Interior Design Association Co, Yang Dongjiang (Celebrated curator. Deputy director of the Art Museum of Tsinghua University. Assistant dean of Academy of Fine Arts) and Liang Jinghua (Well-known designer. Vice president of Hong Kong Interior Designers Association), gathering ten designers from mainland of China (Chen Xiangjing、Chen Yaoguang、Gao Yang、Wen Hao、Wu Bin、Yang Dongjiang、Zhang Lei、Zhang Yonghe、Zhang Zhoujie、Zhou Chenchen) and ten designers from Hong Kong (Chen Zhiyi、Zheng Bingkun、Xu Nuo、Pan Hongbin、He Zongxian、Chen Dejian、Luo Lingjie、Long Huiqi、Liang Jinghua、Liao Yiquan、Lin Weier) together organize a special exhibition, which theme is ‘RONG’ ,to show the 20-year rapid changes since Hong Kong has returned. In addition to the importance of the relationship with Taiwan, under the invitation of TnAID, Design Beijing will work with the Taiwan Design Week Committee to deepen the relationship as well as a serious of forums among various countries in Asia will be hold as continue events, which is based on the discussion of design. Integration of design and art, as the common aspiration of the Executive Committee of Art Beijing and Design Beijing, is always a major topic in defending whether it is a functional artwork or an infinite possibility product. How to balance the requirement of artistic and practical？Is it possible to bring art to a closer relationship with everyday life? Can we possess as many elements as we could in daily? 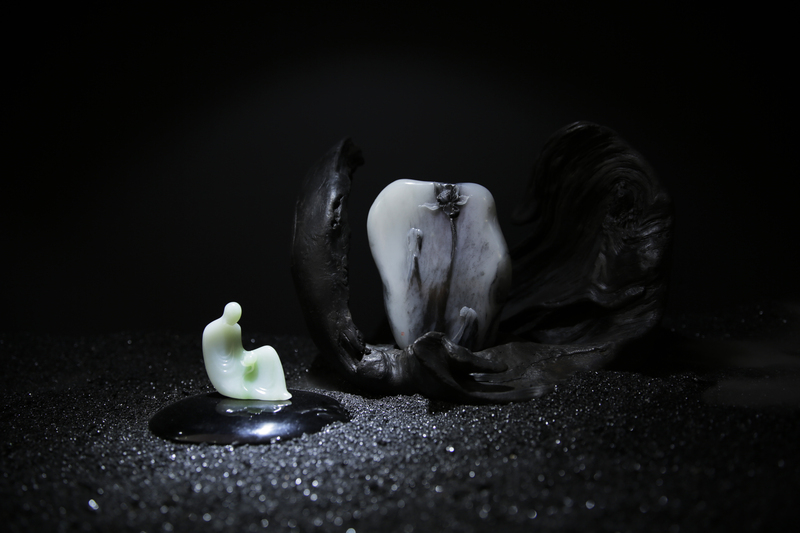 At the ten-year-anniversary of the fair, our founder has already considered these issues into part of the Expo; therefore, the collaboration between artists and designers became an annual project. With further response, this year, the special artists projects will run through both Art Beijing and Design Beijing spreading in ‘Design in Art, Art in design’. 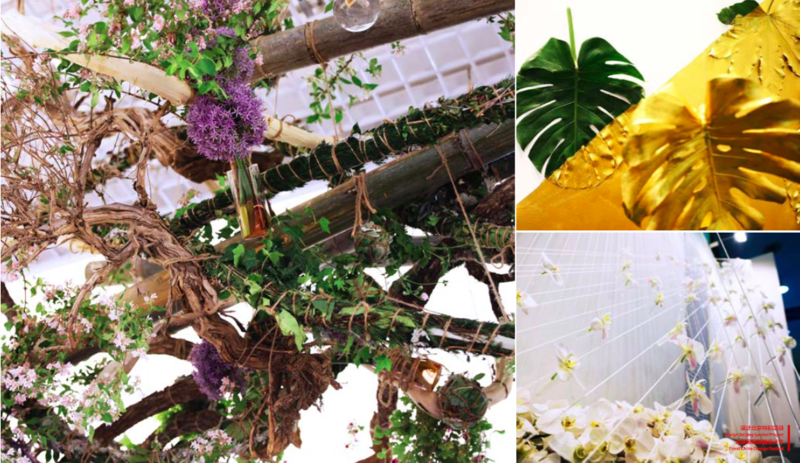 Cooperating with 4 popular floral designers(Gao Shang、Lu Xinyao、Lai xuesong、Fangfang) from Floral China, a enormous floral installation through Hall 1 to Hall 3 will share their first show in Beijing. Walking through the path with the pleasantly warm wind, floral crush into the souls, exploring the glamour from floral design. 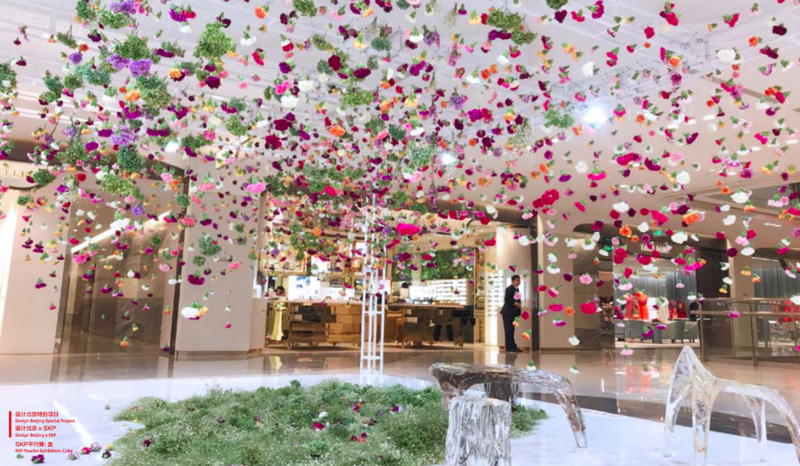 Through the spark from the collision of floral and design as well as the upsurge of Chinese flora, to achieve the goal of setting up a new standard of floral combines with art, design. With the inspired idea of environmental protection, a hundred thousand of ofo Bike will be released in Beijing during the fair with ’Design Beijing’ exclusive 20% discount LOGO hangtags, taking the National Agriculture Exhibition Center as central, united all the landmarks, such as Guomao, Sanlitun Village, SOLANA and etc., drawing your own matchless art, design map. 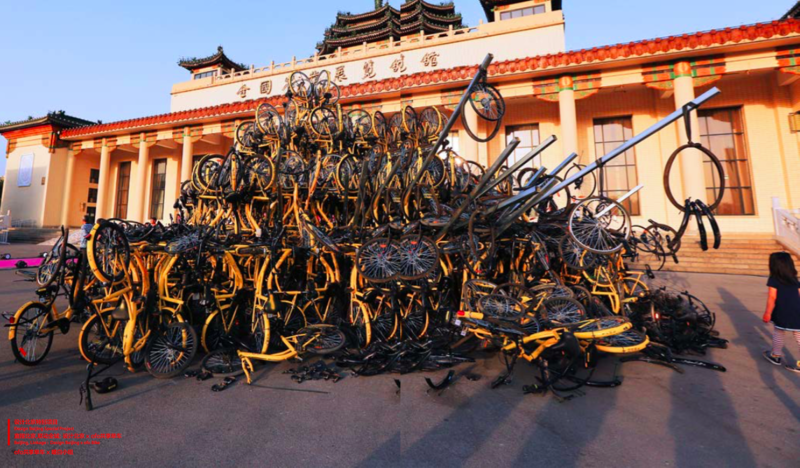 At the same time, as the convenience that ofo Bike has bring us, the more destroy they are facing, therefore, Design Beijing invited a group of designers from CAFA, presenting ofo Bike first cross-border collaboration, whose subject is ‘Distorted ofo Bike. 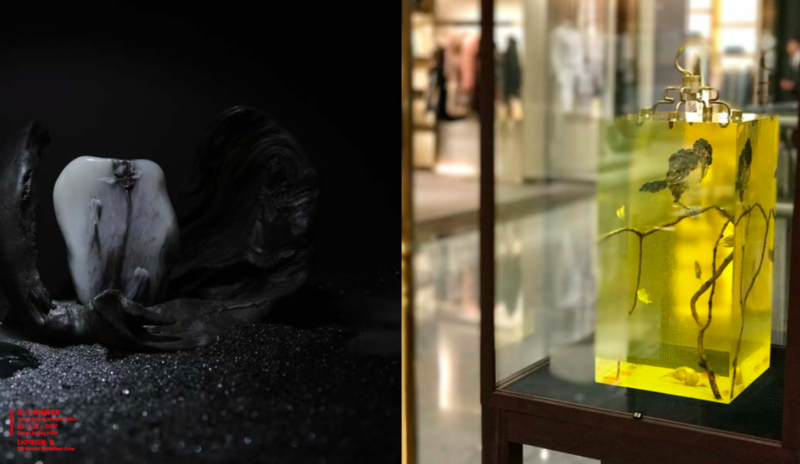 Working with a high-end luxury shopping mall - Beijing SKP, covered numerous position that last two weeks, the satellite design exhibition, which combines art with high fashion, through the concept of ‘Cube’ included three unique projects ‘Golden Cube’, ’Black Cube’, and ‘Flower Cube’, will create a particular design visual feelings. Besides, W Hotel, a global luxury fashion design hotel, devises an installation for the door header of Hall 1&3, with a unique visual impact of fashion and design. 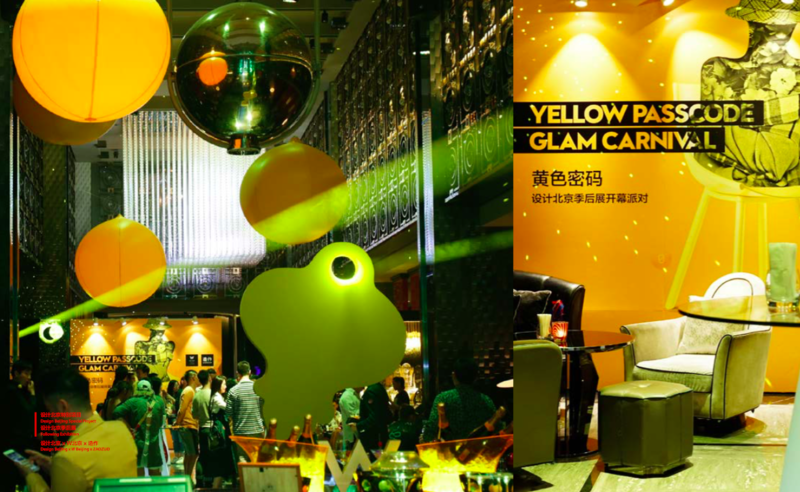 In order to deepen the theme of Design Beijing, W Hotel and ZAOZUO together host a extend exhibition at W Hotel, where four unite, ‘Design x Color’, ’Design x Movie ’,’Design x Manufacture’, ’Design x Fuel ’, happen as well as leading to homologous academic discussion.